Crab apples have been part of my existence since I was little. One of my earliest crab apple memories were of my Gido taking us apple picking. Though we never really got to do any picking as the trees were so tall that ladders where needed. Then there where the trees in my grandmothers backyard. And though as I kid I wasn’t a huge fan of crab apples I was truly amazed at how fantastic her crab apple jelly was. It was the most wonderful pink color and not at all tart like the apples. 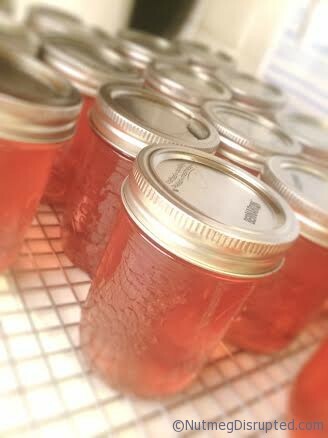 After she passed away I remember one afternoon my grandfather giving me his last jar of crab apple jelly. It was the best gift I ever received. Flash forward a few years. I was at work some someone had asked if I wanted some crab apples. My thoughts immediately went to the jelly that I enjoyed so much in the years before. I was excited at the chance to try and do this! 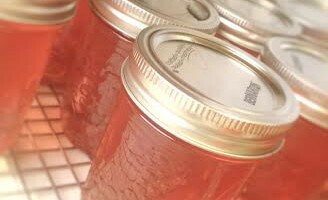 I went and bought jars, a box of Certo and began my journey into jelly making. Remove the blossom and stem ends from 4 quarts of crab apples. Half apples and place in a large pot, do not peel or core. Crush pulp and cover and simmer 5 minutes longer. Place the simmered apples into a jelly bag or several layers of cheesecloth. Now place in a colander and set over a large bowl or pot to catch the juice. 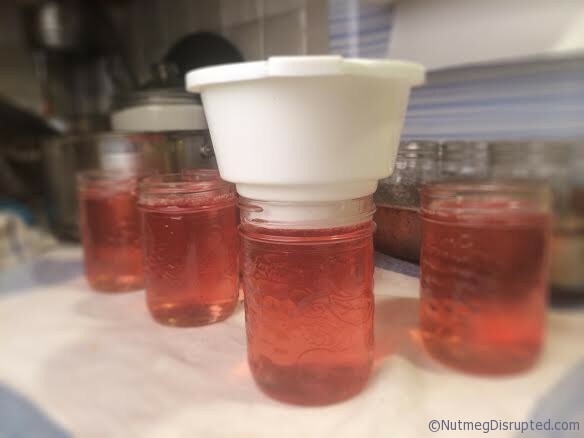 For a clearer jelly do not squeeze the juice out, let it drip. Up to ½ cup of water can be added if you do not get sufficient juice. In a large sauce pan stir together crab apple juice, lemon juice and pectin crystals. Add 1 tablespoon of butter. Return to a hard boil for one minute. 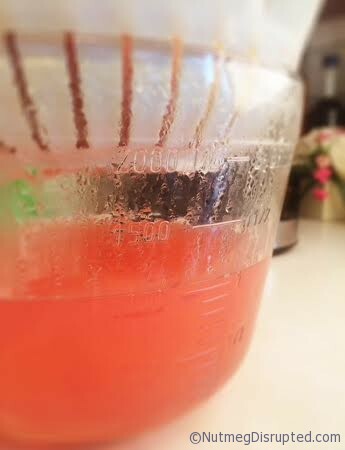 Ladle jelly into sterilized jars laving a ¼ inch of headspace. Apply lid and screw bands finger tip tight. Place the jars into a hot water bath and process 5 minutes. Remove jars and allow to cool fully. It is the best isn’t it! 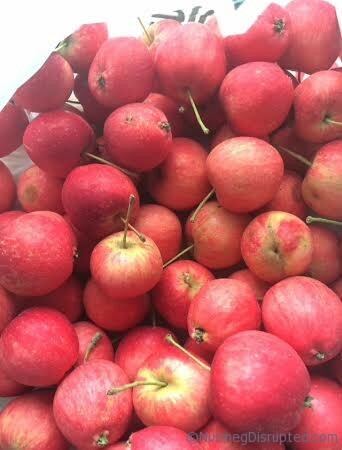 Hoping you can find the apples at the Farmer’s market and make some of your own! I am lucky to be in an area where crab apples trees are everywhere. Perhaps you can find the apples this year at a Farmer’s Market? It is definitely one of my most loved things to make. Such memories!